Modern, contemporary style candle holder with a retro, industrial twist. Metal wire style frame in a black finish that holds 6 tealights or pillar candles. A stylish addition to any home decor, the matt black finish on the frame will suit most decors. Six glass cup holders sit inside the frame in a criss-cross design, will easily hold a tealight candle or pillar candle. We have a great choice of candle holders, candelabras and wall sconces to choose. 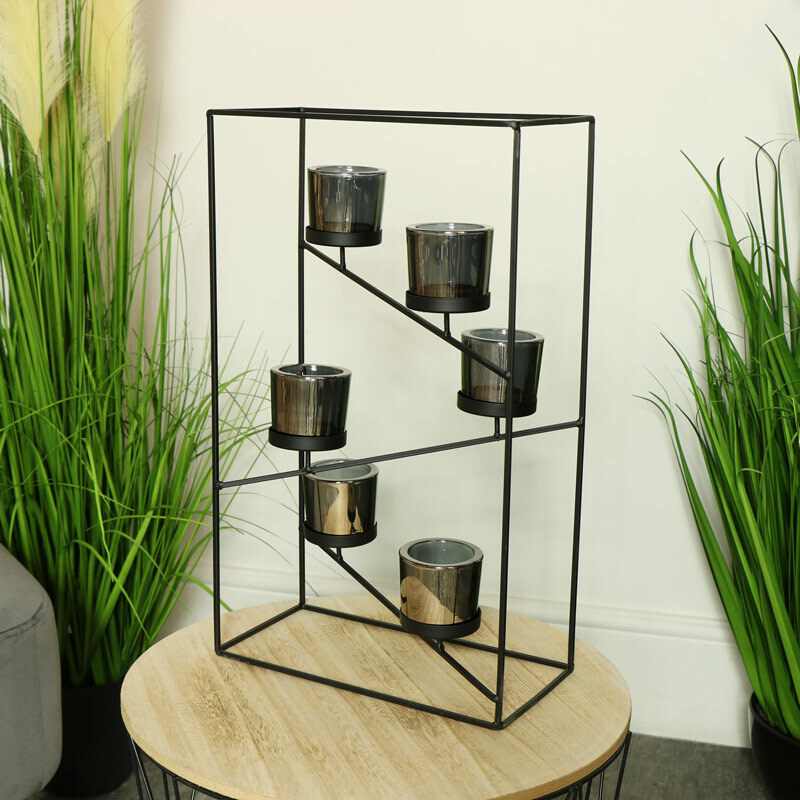 Modern, contemporary style candle holder with a retro, industrial twist. Metal wire style frame in a black finish that holds 6 tealights or pillar candles. A stylish addition to any home decor, the matt black finish on the frame will suit most decors. 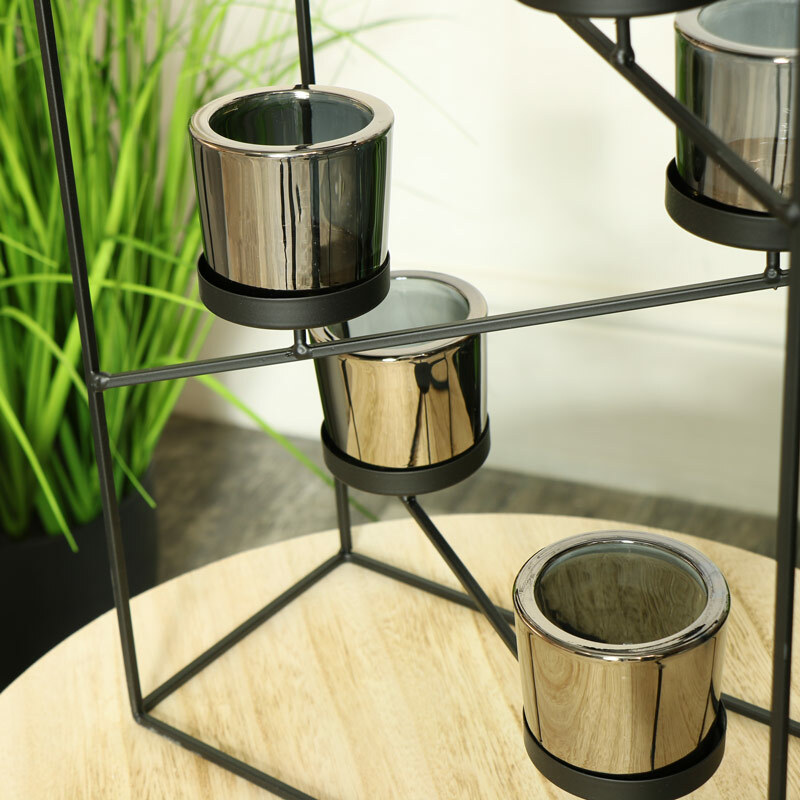 Six glass cup holders sit inside the frame in a criss-cross design, will easily hold a tealight candle or pillar candle. We have a great choice of candle holders, candelabras and wall sconces to choose. Constructed from a metal wire style frame in a matt black finish. Freestanding design, 6 glass candle holders (candles not included). A great addition to our growing selection of gifts and home accessories.